AQA GCSE Religious Studies B: Catholic Christianity with Islam and Judaism Revision Guide by David Worden; Harriet Power was published by Oxford University Press in January 2018 and is our 7703rd best seller. 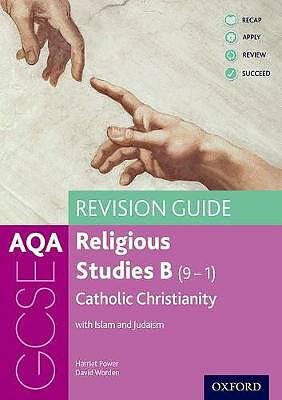 The ISBN for AQA GCSE Religious Studies B: Catholic Christianity with Islam and Judaism Revision Guide is 9780198422877. Be the first to review AQA GCSE Religious Studies B: Catholic Christianity with Islam and Judaism Revision Guide! Got a question? No problem! Just click here to ask us about AQA GCSE Religious Studies B: Catholic Christianity with Islam and Judaism Revision Guide.